Bitcoin is the latest phenomenon in the online world, as well as the financial world. It is a decentralized digital currency, which means that it is mainly traded online and without any authority overlooking it. Bitcoin is directly traded person to person, without going through the legal structure of a bank, or any governing body for that matter. The advantage of using bitcoin is that the process is completely anonymous. Each Bitcoin wallet, an account where bitcoins are saved, is known by an account number that includes various numbers and alphabets, rather than the name of the owner. Only the owner of the wallet knows what is his own account number, every one else just knows a nameless account number that can’t be traced. However, the disadvantage of this is that once the account number is lost by the owner, there is no way to recover the bitcoins from that account. Bitcoin does not have any authority overlooking it. It is a peer-to-peer network, which means that it is run by regular people on the internet. 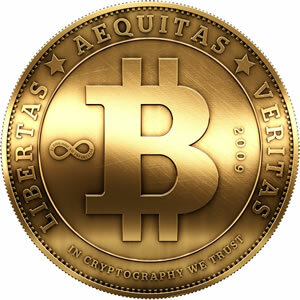 People create bitcoins and authorize transactions through a process called mining. In fact, the entire Bitcoin protocol is open source, i.e. free for anyone to see or adapt. Hence, it can be said that the Bitcoin is truly a currency for the people, by the people. While the fact that Bitcoin has no authority can have its advantages, it can also have its disadvantages. Since its inception, Bitcoin has been misused for illegal activity, such as in the use of paying for illegal drugs, arms smuggling, online gambling, etc. Still, the misuse is not the fault of the system per say, but rather the people who do misuse it for their personal gain. In fact, all in all, the Bitcoin protocol is an innovation that may change the future of currency.